TOPIC: Have you ever wanted to have more beauty and art in your house, but you don’t have the money (or time) to buy a new print every week, frame it, hang it, trade out the kids photos, yada yada yada? If so, you’ll definitely want to tune in this week when Dave and I talk to Stephen Kahn from Artkick! Stephen shares insight into the origin Artkick, what it is, what’s coming next, and how you can start showing literally billions of dollars of artwork in your home, today, for free! What famous horror film shared casting with the original Star Wars movie? Coolsites of the week are back and as awesome as ever! 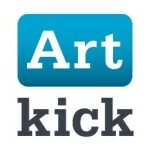 Artkick – Art for free, on your TV! KeepAwake – Chrome app to keep your chromebook from hibernating or going to sleep. TechSmith App/Extension – Screenshots, recording, and more, specifically for Chrome and Chromebooks!